Santa Eulalia is a beautiful municipality of the Balearic Islands, which belongs to the island of Ibiza and is the third largest municipality in terms of population.A typical Mediterranean town. Santa Eulalia offers both the tranquility of a fishing village and the fun of the Ibiza night. 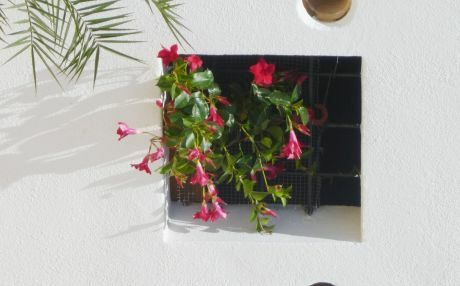 Therefore, we recommend that you divide the plans and your energy according to the days that you will be staying in your holiday villa in Santa Eulalia, because you will not be bored at all. Mercadillo de las Dalias: it is totally worthwhile to go on a day trip to San Carlos to see a typical Ibiza hippy flea market. The port of Santa Eulalia: where you can go for a walk on a warm summer's night along the promenade from your holiday villa. Above all, do not leave the island without visiting La Cala d'es Pou de Lleó, Cala Martina or Cala Nova, very close to the center of Santa Eulalia. The gastronomy of Santa Eulalia, like on the whole island, is based on the Mediterranean diet and seafood. Do not leave Santa Eulalia without having tried a stew of fish or a rice pudding in front of the sea, accompanied with a good wine, because it will be one of the most unforgettable moments of the holiday. If you like good gastronomy, you are in the right place, since in Santa Eulalia you will find some of the best restaurants in Ibiza, as it is considered the gastronomic center of the island. In Santa Eulalia del Riu you you can spend an unforgettable summer holiday with your family, friends or couple. 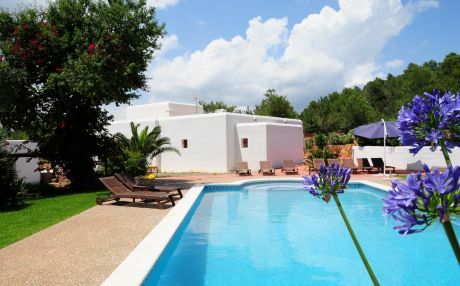 In Santa Eulalia, you will find many holiday rental villas to accommodate. 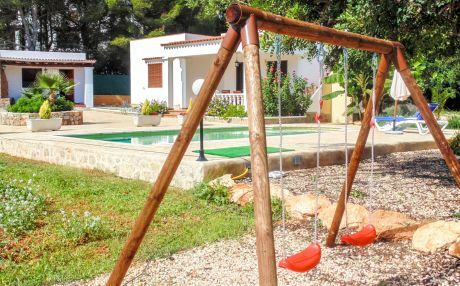 Santa Eulalia is a great choice if you are going to spend the holidays with your children in a holiday villa. One of its main characteristics is that it is more a family friendly tourist destination than a night one. And you must know that Santa Eulalia has a tourist train that children will love, because apart from not getting tired, they can travel the city in the most fun way. As you will know, the island is surrounded by crystal clear waters and green Mediterranean vegetation. 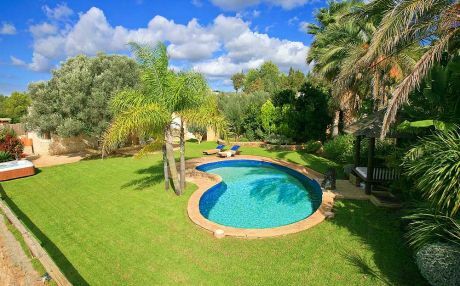 So, if you stay in one of our rental villas in Santa Eulalia, you can take walks in the middle of nature and beat the heat in one of its beautiful beaches with crystal clear waters. Santa Eulalia has an efficient public transport network. Ibiza Airport is just 21 kilometers from Santa Eulalia. From there, you can take a bus to get to the city. 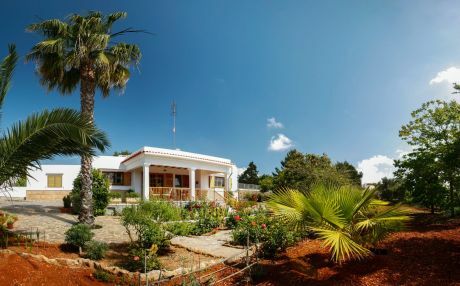 The most affordable way to get around the city are the city buses that pass quite often in summer, so you will not find it difficult to reach our villas in Santa Eulalia. Alternatively, you can arrive by boat to Santa Eulalia in any of the national departures from Barcelona and Valencia. 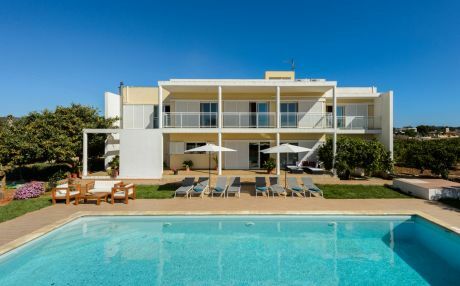 Choosing the island of Ibiza to spend your vacation in a rental villa in Santa Eulalia is a fantastic option, as its location is perfect to tour the island and enjoy it to the fullest. 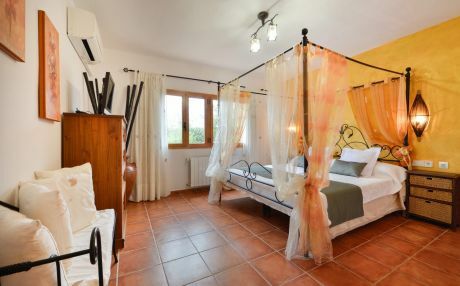 It is a small and charming town that is loved by families who rent villas with swimming pool, which in turn allow them to enjoy a vacation with total freedom and comfort, saving on the budget, since it is cheaper than other accommodation options. Also, rental holiday villas are perfect for groups of friends, as they are quite affordable and offer all kinds of luxuries. 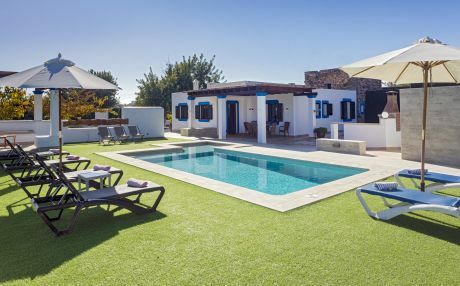 In addition, most rental holiday villas in Santa Eulalia have a private pool where you can relax after a day on the beach and adventures on the island of Ibiza.